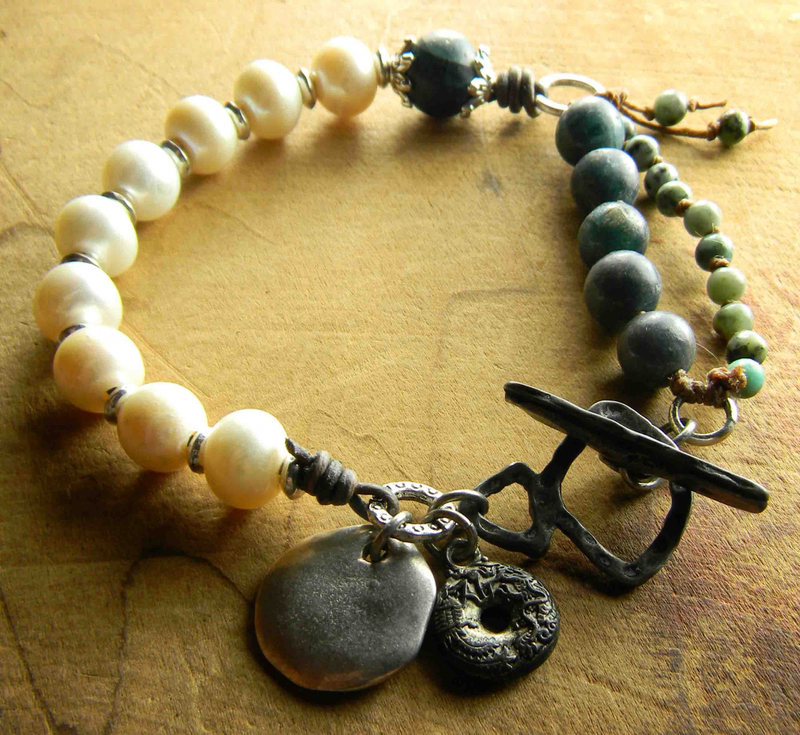 African turquoise, large hole pearls on leather, paired with matte apatite and for a distinctively boho beaded bracelet design. This casual pearl and gemstone piece is appropriate for work or with your favorite pair of blue jeans. 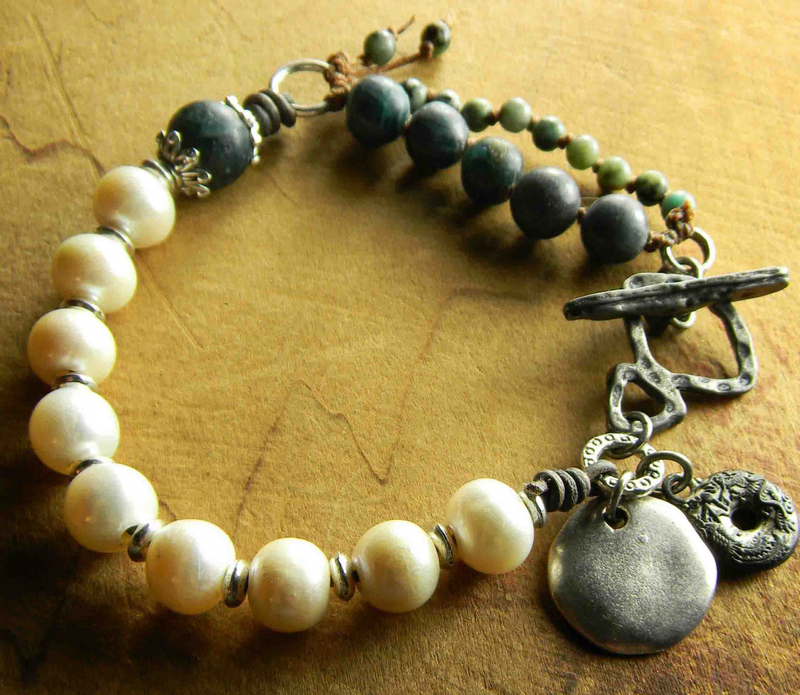 A gorgeous artisan pewter toggle clasp, charms and findings that all have a rustic aged appearance, complement the pearls and the stone beads. The bracelet is designed to fit best on a 6.25 to 6.75 inch wrist. 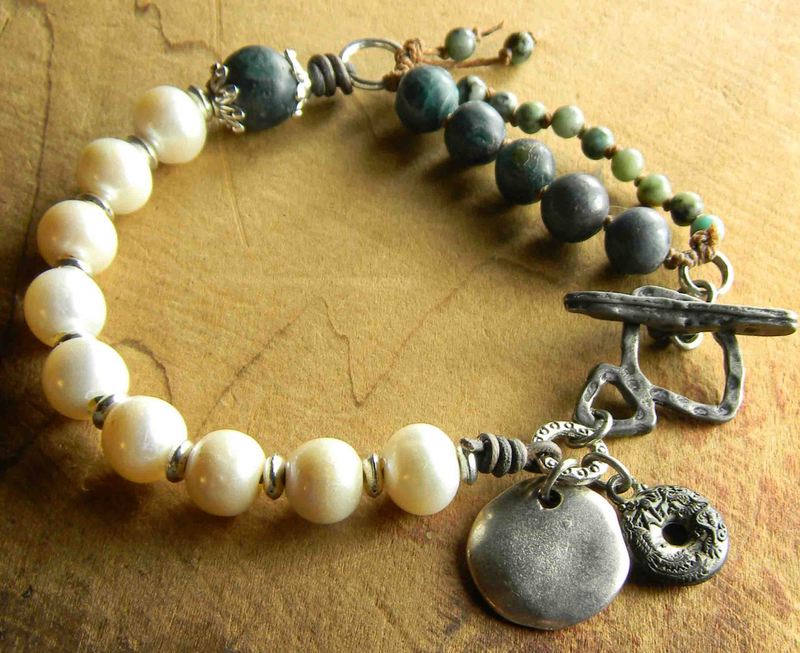 Artisan pewter toggle clasp and charm by Inviciti!